It was back in 2011 that Apple first brought us the iPad 2, and after three years of loyal service, the device has finally been retired. Replacing it as understudy to the iPad Air will be the iPad 4 – arguably the righteous holder of this particular position – and with a Retina display, Lightning connector and a beefy A6X processor, it’s a notable improvement on the iPad 2. 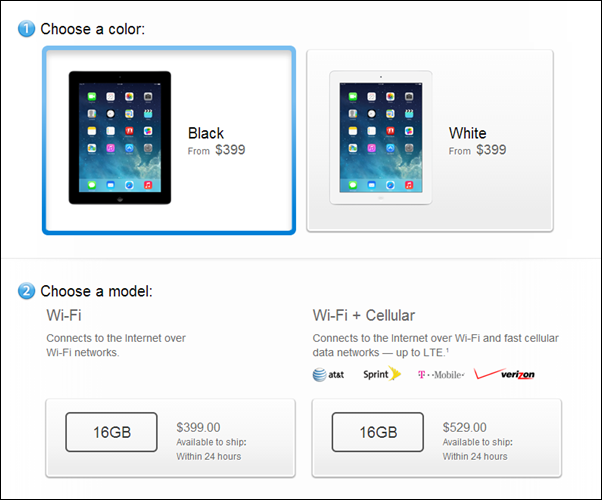 The iPad 4, at $399 for the 16 GB model – the only configuration that will go on sale – is the same price as the iPad Mini with Retina display. It’s also $100 less than the flagship iPad Air, which boasts a much better design and more robust SoC, but nevertheless, with the A6X and a Retina panel, The iPad 4 is still a pretty sweet deal for a full-sized Apple slate. 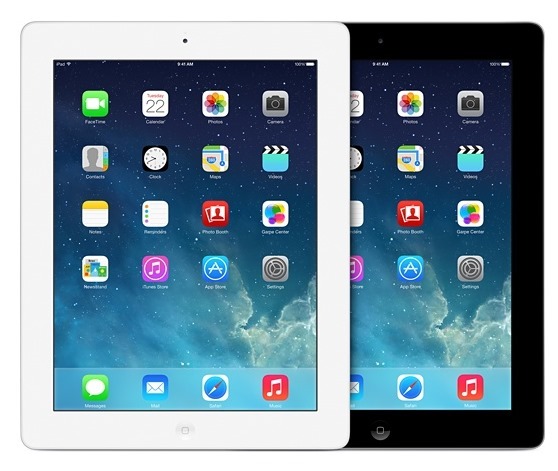 The original iPad mini, which still retails along its new, A7-enabled counterpart, is now the only iOS device to not feature a Retina display, and although there’s an appreciation for smartphones and tablets that can still ship strong numbers many years after initial release, it’s good to see the older models being phased out in favor of more current technologies. Apple has made a couple of alterations to its line-up today, also introducing an 8GB iPhone 5c at a lower price point, and with the antiquated iPad 2 having finally taken its leave, perhaps the introduction of a cheaper iPhone 5c could signal the demise of the iPhone 4s, which released a few months after the iPad 2 back in 2011. Even though, from a tech point of view, the iPad 2 was way out of its depth alongside the likes of the iPad Air, it has served its purpose in offering consumers a taster of iOS on the big screen for a much more agreeable cost. Yet, while it has been a very worthy steed to the flagships of the past couple of years, you wouldn’t say that today’s retirement is before time. The other key point to note here is the clever pricing of the iPad 4. At $399, it’s working to reel consumers into the the idea of purchasing an iPad, yet because it’s only $100 cheaper than the inarguably more beautiful iPad Air, buyers will likely weigh up the costings and – in many cases – simply opt for the flagship.